We previously mentioned the PETRO- Age 39 3/4 solo exhibition currently running until the end of the month at the newly opened Tower Art Gallery in Newcastle. The show is now open and if you have not been able to make it up to Newcastle have a look at some images from the show below which the gallery sent us. 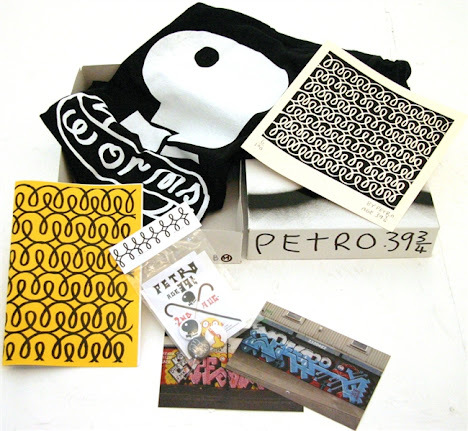 Also be sure and check the gallery shop as they have some tasty things on sale from PETRO including this sweet looking Limited box set pictured above which includes a print, tshirt, zine, badges and photos! There are also some originals and prints available in the shop so get yourself over there and have a look.